The Suboken Project hopes you enjoy our radio play production of Not One Iota. It is one of the most rewarding projects I have ever put my energy and talent. Which makes this post unfortunate to write. The studio we record and edit the show was damaged by water. None of the equipment is ruined, and the sound files are safe, but the room needs to be cleaned up and remodeled which could take several weeks. Not One Iota: The Radio Play is on hold until the repairs are complete. We are committed and excited to complete the radio play and share this version of the novel with you. 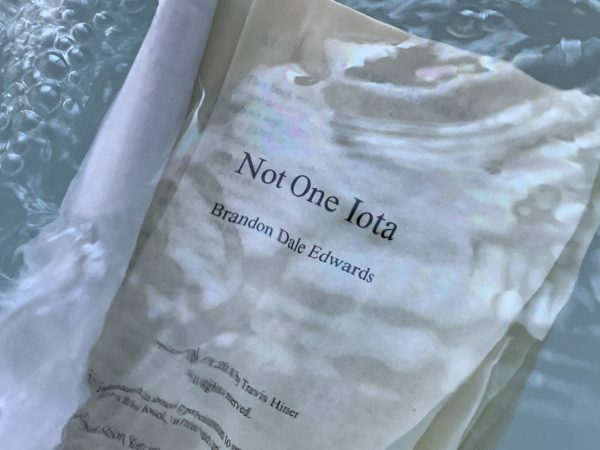 However, if you are eager to discover how the entire story unfolds, how the consequences of Joel and Justine impact the larger narrative, the paperback and Kindle versions of Not One Iota are available to purchase from Amazon, and the iBooks version will be available as soon as it passes Apple’s review process. Thank you again for supporting our creativity and sharing this storytelling experience with us. We hope to see you join us when the project picks back up in a few weeks.